If it’s true that a picture is worth a thousand words, where can you find great photos to use for free? Don’t worry! Sit back and relax. In fact, there are hundreds of websites that allow you to search and download free high-quality photos. In this article, you can find the best online resources that millions of people are using every day. Burst by Shopify is a free stock photo database where you can download free pictures to boost your next online project. You can enter your email to get the top new free stock photos sent to your inbox every week. The license is free, with some right reserved, which means the photo is made available for use under a non-exclusive license to download, copy, modify, distribute, perform, display and use in accordance with this License and the Burst Terms of Service. You do not need to provide attribution to the photographer, Shopify or Burst, although you are encouraged to attribute the photographer whenever possible. There’s also an interesting section with online business ideas, with everything you need to start selling (stock photos, suppliers, and more). This is the promise of Unsplash, a stock photo site that lets you download high-resolution images for public use. The site is updated with 10 new photos every 10 days, so there is almost always something new to choose from. Find different types of pictures, including lots of landscapes, with many outstanding lighting and Instagram style effects. The site is also very nice and easy to use. Each photo includes a link to the photographer’s page, which you can choose to link (credit is welcome, but not mandatory for the download). With over ten million monthly visitors and thousands of new photos added each month, Pexels is one of the most popular choices to find free great pictures online. Unlike other sites, it allows you to create a profile to save your favorite photos, upload your media and even download free videos. There is an incredible abundance of pictures of all kinds, with resolutions of up to 6000×3375 px (Ultra Hd). Whether you need photos for your blog, for your business or you just like to watch beautiful photos, Pexels will certainly not disappoint you. Pixabay is another popular choice to download free photos, in particular for most bloggers and designers. With over one million images, it offers a wide choice of categories and allows you to search based on many interesting parameters, such as the kind of content (photos, video or vector images), resolution and effects. All contents are released under Creative Commons CC0, which makes them safe to use without asking for permission or giving credit to the artist. Ryan McGuire of Bells Design has built a fun site where he uploads new photos every week that can be downloaded for free. Images can be used for personal or commercial projects, and each picture includes a high-resolution version. Gratisography has a nice variety of funny images. This site has a good variety of images – mostly of objects and landscapes – with a difference from other sites: each photo is taken with a mobile device. These free images can be used for any digital project, but not all of them has the right resolution for printing. The photos of Refe have a different streak than other sites, as most of them capture everyday life. Jay Mantri uploads on his site seven new photos each week, which are free and can be used in whatever you want. While the style of the images is varied, many of them look rather funky, including a series of photos that feature the illustration of common objects and sunglasses. MyStock.photos is a resource of beautiful images made by professional photographers, available free of charge for both personal and commercial purposes. The pictures in this collection are of course in high definition and have the character of representing everyday life. Magdeleine is another site that makes its strong point the manual selection of free photos, grouped in order to make it easy to find. You can search by topic, depending on mood or color. So, if you have a little idea of ​​what you need, this site is a great starting point. The choice of images is quite wide and many of the photos are in color, but there is also a wide selection of black and white pictures. From dessert to simple vegetable pictures, Foodiesfeed has images of virtually any edible object you can imagine. The site uploads five (or more) new high-resolution photos per week, and for only $5, it lets you download all the image collections at once (if you use food photos frequently, this could save you a lot of time). With this site there is only one problem. All those delicious dishes will make your mouth water and you can get hungry right away! Like other stock photo sites, also Picography offers a wide selection of free images. It is different from the others, because it includes many photos about events and people. There is also the right mix of colorful and black and white images that allow to having more choice for your projects. Im Free is one of the newest sites where you can find quality photos to download for free. What I like about this site is that you can find, in addition to the photos, also templates, button generator for websites, icons and more free web design resources, all for commercial use. Maybe the name does not tell a lot, but Death to the Stock Photo offers every month new free images that you can download for commercial use. In order to receive new pictures directly to your inbox, simply leave your email address. New Old Stock is a great site if you’re looking for vintage photos without any copyright restriction. The images are public domain since they are many years old, free of known copyright restrictions. The site is very simple to use, just scroll through the pages and right-click on a photo to save it. Superfamous is the website of the designer Folkert Gorter, who offers his many high-resolution images with a Creative Commons license 3.0. Most of the images on this site are related to nature, in particular the landscapes surrounding the mountains. The Public Domain Archive is a collection of free, unprotected images that are free for personal and commercial use. With new photos uploaded every week, there are always new images to be downloaded through a good variety of categories. The type and style of pictures on this site vary considerably. Some are new and modern, while many others are pretty old images. You can also send your own pictures to make them public. Picjumbo is another stock photo site, offering many high-quality images that you can download free of charge and use at your will. There is also the possibility of accessing to a premium photo collections. Well, now that you know all these sites, you will no longer have trouble finding the right photos for your next project. All the sites I’ve listed in this article allow you to download free photos in Hd and use them for both personal and business purposes. Of the sites I’ve collected in this article, I personally prefer Pexels, Pixabay and Burst, but the other sites are no less. Hi Erik, wow, I haven’t heard of these before! I have been using Canva of late and really like it. I used to use Freedigitalphotos.net but that is no longer available for free. Thanks Erik for sharing these with us! Have a wonderful day. Hey mate, great resources thank you! I’ve been looking for a decent place to get some stock photos and you’ve given me several thanks heaps! Thanks for putting this list together. I’ve use Pexels and Pixabay or I’ll grab an image from Canva. I haven’t heard of the others you mentioned here. Thanks for the great resources! No doubt I’ll be sharing this one. I hope you’re having a great week so far! You hit the mother load here! I have used quite a few of the ones you mentioned. My favs are Gratisography, Pexels, Pixabay, and PicJumbo. I also use subscription services for DepositPhotos and Stockunlimited, as well as a few other freebie type girly sites for flatlays. Thanks for sharing this list with us. I went ahead and bookmarked them so I can check them out in the near future. What a great review! Thank you for taking the time to give us more insights. I would love to read your review of rawpixel.com too! High-quality images are easy to get, but free high quality photos are not easy to obtain. Thus some useful websites are really helpful for us, I want to try the third one. Super! Thanks for all these resources. So far I have been using Pexels and also got some credits from DepositPhotos. I will spend some time and see how these resources turn out. Bookmarked! This list is awesome. But I want to share a website named http://www.pixaocean.com which I have started and aims to provide free images. And it will be great if you will add my website to your amazing list. Another very useful round-up. Really great resources for finding free stock photos. Actually, i take my stock photos from pexel, pixabay and burst. But now i have more resources for collecting free stock images. Also, splitshire is a great site for collecting stock photos. Thanks a lot for sharing these 17 sites. You don’t have an iota of idea on how much you have helped folks like me and others who are in search of how to get free stock photos online. Hi, thanks for sharing the above list as i was thinking that there was only 2 or 3 free stock photo sites but 17 is huge and since i have started a new blog i will surely use this sites for images in my articles. As a blogger, I’m always looking to find images to use free on my blog. I do try to buy new designs whenever possible, but I can’t do that for every image that I need. This list is going to save me a lot of dollars now. There are millions of images to use in these combined. Just a heads-up, PNG Tree is riddled with stolen artwork and images. Chances are you are downloading artwork that belongs to an artist who never consented to having their work on their website. A large percentage of the artwork is stolen and sold as someone else’s work – for example, I’ve had loads of my work stolen and put up for download on their website. Just wanted to make you aware of that. I thought I did enough research and even contacted the company ensuring thy have correct licenses…. so I bought a 1 month subscription only to find, so many stolen images. I just want to cry and get my 10 bucks back and delete everything I downloaded. It’s not right and it makes me so sad how a company can do that! I have four different sites to search and download free stock images, which I use in my blog posts. I am glad and thanks to you Erik that you share a few more with us. Now I have total 20 sites to search and download Free stock images. I am a website owner and came to use different images for different posts i share. I had already heard of one and only website ‘pixabay’ as i am a new to this field. Thanks to you for such as amazing list. I have bookmarked your post for future help. thanks again. Basicslly, what we need as a website owner is choose a best fir image for ou posts and that must also not be copyright or free, so that later no one may claim you to delete his image from your article, which will be very shameful and may result in de-ranking of website itself. The list is amazing. And I have also started a free stock images website named http://www.pixaocean.com and we are working on it with our best efforts to provide free images. If it is possible to add my website to your list? That will be great. Quite useful list. Thanks for sharing. I just wanted to let you know that I built a little tool (a bookmarklet) that lets you search from 30+ free stock photo sites. It’s 100% FREE, no ad, no optin popup. It will make your image search much easier and faster! 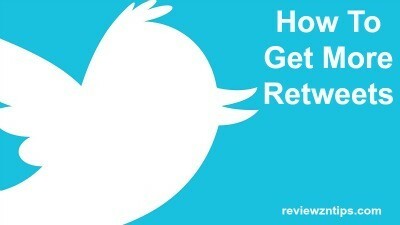 Thank you for the sharing information.Awesome Article. Thanks Erik for this solid list. Images are visual medium that attracts the audience. It is absolutely necessary to have images on your website to have better CTR on Blog posts and give your blog a refreshing look and feel. Glad to read this post. Yes, it is true that a picture is worth a thousand words. Finding great photos online for different purposes can be a challenging task. 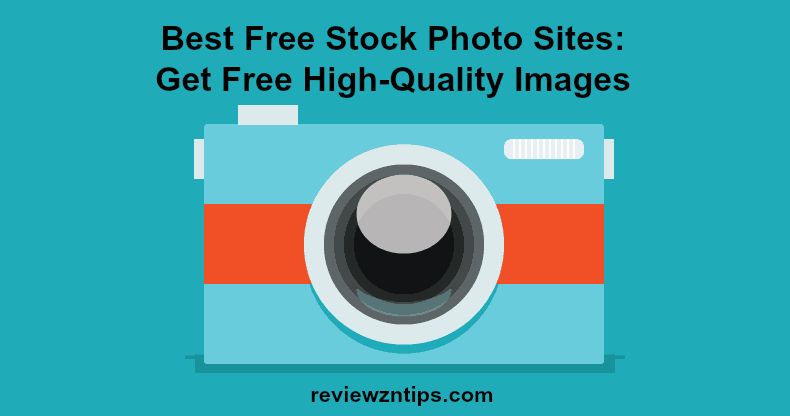 Here, great to know about the 17 best sites that provide high quality images for free. I personally like “Pixabay” where you can find lots of photos for yourself. Here, happy to know about different free stock websites that provide high quality images. I will check all these websites one by one. This is nice post for best free stock photo sites and having right articles to see you here and thanks a lot for sharing with us. This is nice post for free stock sites and having right articles to see you here and thanks a lot for sharing with us. This is awesome! I am looking for a free stock photo website list on Google and I landed on your post. Thanks for sharing some stunning list of free stock photo website with us. But now I have more resources for collecting free stock images. Also, the splitshare is a great site for collecting stock photos. Thanks a lot for sharing these 17 sites. Thanks for sharing this post with us and keep up the good work. All the Sites are so helpful and from my Experience, Pixabay is the best amongst them all with a lot of options in it. Thanks for sharing this amazing sites with us. Erik, I don’t know how to thank you! my blog got a DMCA notice in last month for using a copyrighted image. thanks for the list! Absolutely great post here with a great list. Love your post. Great Thanks for free resources! This is nice post for freestock photos and get free high quality images best way of implementation in this articles that can be useful here. Hey! I’ve used pixabay a lot in the past, they’ve actually got loads of decent images! I’m going to checkout pexels too so thank you! Finding high-quality, free to use images is a major battle every blog writer fights. Great imagery is a crucial piece of a great blog article. Thanks for the list. Pixabay is one of the best things because I am too a user of it. Thank you for sharing about the information. I used Pixabay for a long time. Great list of stock photo sites. You can also use our site to search free stock images from various sites, you can also filter the image search results.